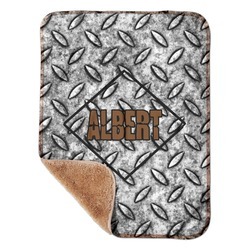 Design Ideas for Personalized Sherpa Baby Blankets 30"x40"
Everyone is protective of their little ones. You worry about their safety, comfort, and happiness constantly! Put your mind at ease a little by gettting them a super soft blanket that they can sleep with. This baby sherpa blanket is the perfect size for your baby at approximately 40" x 30". It works well as a crib blanket or a blanky to carry around for a toddler. It even works well as a car seat or stroller blanket. 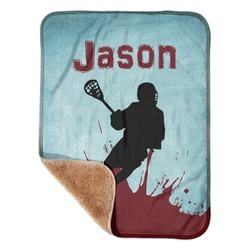 The top of the blanket is sublimated with your design. The back of the blanket is a beautiful sandy color that is fluffy and soft to the touch. This will most certainly keep your baby nice and cozy. The corners are rounded and the ribbing is a slightly tan color as well. In our design center you are able to make the perfect design for your child. Even find something to match your nursery! You can change the colors, patterns, graphics, and more. Even upload your own artwork! Just have fun with it. If you are trying to decorate your nursery before baby comes, be sure to check out our Nursery section. You will find crib bumper pads, quilts, crib sheets, curtains, and everything else you might need to personalize your nursery. If you are going to a shower soon be sure to check out our Gifts for Baby section! You'll find bibs, pacifier clips, security blankets, door hangers, and more. Perfect addition to the nursery! Beautiful, well made baby blanket that I will use for his crib. Our theme is world traveller and this along with the curtain I ordered matches perfectly. I love it! 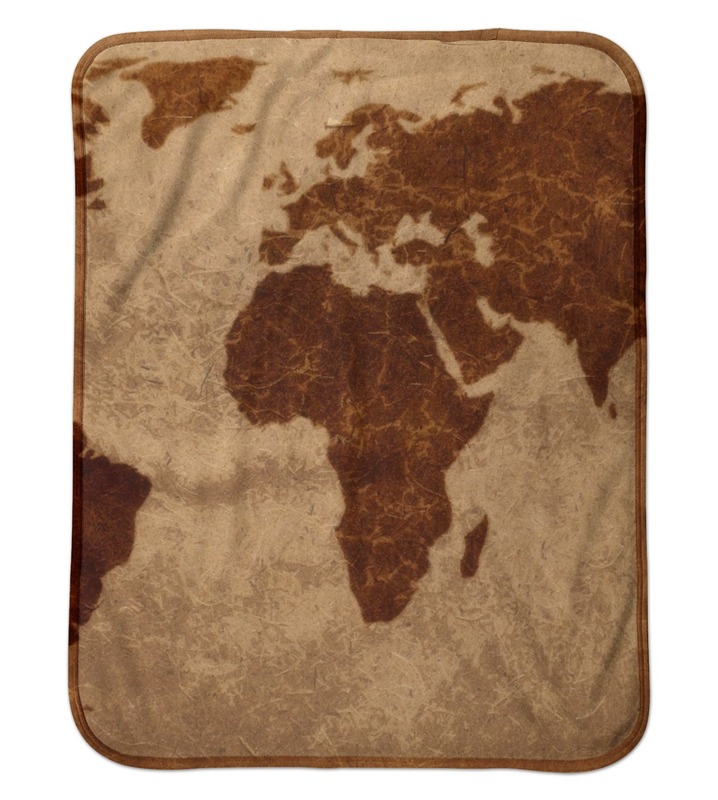 Reviewer: BARBARA CATAURO Product: Vintage World Map Sherpa Baby Blanket 30" x 40"